This week holds many treasures. Perhaps you are somewhat weary of eclipses, but we have one more to go: A New Moon solar eclipse on Saturday, August 11. There is something very special about this eclipse. 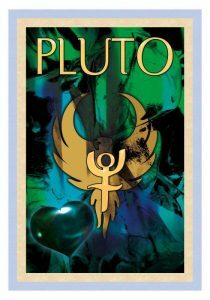 Neptune, Pluto, and the Sun, Moon, and Pallas Athena form a rare but special aspect called a “Yod.” Also known as ‘the Hand of God’ or, ‘Finger of Destiny, the Yod mandates that success comes only through spiritual solutions. And, until spiritual answers are utilized, the Yod indicates that practical matters remain unbalanced and off kilter. This makes a lot of sense in view of the world situation, and it surely comes as a breath of fresh air to all of you who already know this and practice it in your own lives. Tarot associates the Yod with the ‘Hermit’ card. This teaches us that you must cultivate personal power, but also reach out to the world with your knowledge. You must do the inner work of the hermit and then plant your seeds so that knowledge may grow into wisdom. As a hermit, you may be used to solitude, but your contribution makes the world a better place for everyone. Obstacles encountered under the Yod are simply calling you to seek a better way forward. Collectively, we must adjust our thinking about power structures (Pluto in Capricorn). As citizens of the planet we must also understand how to heal (Neptune in Pisces). The Sun, Moon, and Pallas Athena form the handle or power point of this Yod. This means that you must apply your wisdom (Pallas Athena). You also must unite your body and soul (Sun and Moon), take heart (Leo) and be ready for sustained action (fixed fire) to let your Light shine. With Mercury square Jupiter on the 11th, this week’s eclipse marks a turning point. Mercury square Jupiter delivers a challenge to expand your consciousness. It’s time to unite your philosophical beliefs with your critical thinking skills. We have arrived at a point of re-evaluation and must respond. Mars now retrograde releases some of his pressure on Uranus, although these two planets will be exactly square again on September 18th. These two are working overtime to settle old, ancestral wounds. Ritual battles by alt-right and alt-left groups surely illustrate some of the worst possibilities of Mars and Uranus. And, there are more notable celestial events to consider. August and the sun sign Leo is a time of extremes. In the northern hemispheres, August delivers the heat of summer. In the Southern hemisphere, August is the month when the winter finally abates. This is also when the light holds a glimmer of warmer days. Regardless of where you live, the fire energy of Leo distributes the essence of life force out to the world. Wishing you a bright and hopeful week filled with inspiration and insight. This week’s lunar eclipse will be the longest of the century. There’s no doubt you’re already aware of this week’s upcoming full moon lunar eclipse. But there are also two other important planetary events this week. In addition to an amazing and rare eclipse, Mercury stations retrograde on Thursday, July 26th. Mars, also retrograde, is now the closest to the earth since it has been since 2003. On Friday morning Mars moves into opposition to the Sun and into a tight alignment with the Earth. This will happen just hours before the lunar eclipse. Because of the elliptical nature of planetary orbits, Mars is uniquely close and in exact alignment to both the Sun and the earth. Mars will be conjunct the moon for this upcoming eclipse. All in all, it’s quite unusual, and indeed, these are unusual times. The question becomes: how can you manage this planetary triple play in a way that feels good and benefits your life? All around the world the lunar eclipse is making the news. It will be the longest lasting total lunar eclipse of the century. Plus, as the Sun, Moon, and the Earth unite in perfect alignment, the moon will become red. This is the light from the Sun passing through the earths’ atmosphere. 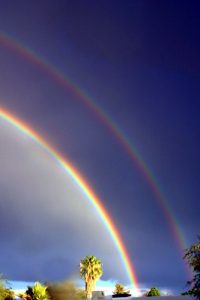 While other colors of the spectrum are not visible, red, dust and particles from volcanic eruptions accentuates the base color in a prism. 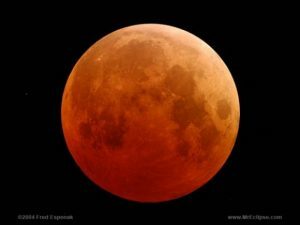 Astrology teaches us that the length in time of any lunar eclipse translates into an equal number of months for related events to take place on the earth. So, with this eclipse being almost four hours in length, the corresponding time for critical earth related events will be four months. The sign of the moon addresses what kind of events we can expect. Manley P Hall, best known as the author of ‘The Secret Teachings of All Ages’ (written in 1928) states that an Aquarius lunar eclipse delivers infertility to the land and sickness to rulers. Being in the Uranus ruled sign of Aquarius, many predict the eclipse to bring definite changes. Christopher Columbus leveraged his advance knowledge of a blood moon lunar eclipse in 1504. He convinced the Jamaican natives that they must feed his crew or else face the wrath of his Christian god. That ploy worked, and he returned to Spain the next year. Mars is also red when viewed from the earth. And, since ancient times, Mars is affiliated with blood. Surgeons, warriors, and sharp tools are traditionally associated with Mars. But, so is your actual Life Force, the blood that moves in your veins and moves you to get things done. Your enthusiasm, your courage and desires are also expressed through Mars. Now, for part three of our Planetary Triple Play – Mercury retrograde in Leo from July 26 –August 19! As a carrier of thought and communication, Mercury delivers the “news.” Because he is notably without conscience Mercury can also deliver ‘fake news.” All good reasons to pay attention. As he rewinds through the middle degrees of Leo, your mission is to tell yourself (and others) the truth. Mercury in Leo is boisterous, proud, and wants the world to know of his accomplishments. Mercury in Leo inspires creativity, and this is your best bet in managing this summer’s Triple Play. Be Brilliant. Shine Your Light. Connect With Your Source. Express Your Wisdom. This week signals good things to come with Venus and Jupiter. On Monday, July 16th the moon joined Venus in a conjunction that was easily visible in the western sky. I describe Moon and Venus as the ‘sweetheart’ combination because it’s a special time for success in relationships. Adding a lovely bookend to this week, on Friday, July 20th the moon conjuncts Jupiter. Think of the moon, or Luna, as a gigantic searchlight that illuminates the evening sky. With these stellar conjunctions, it’s a great week for your social life, but perhaps a bit of heaviness lingers amid the fun and good times. This is because a look into the future shifts you out of casual conversation and into personal growth. The secrets of the upcoming full moon lunar eclipse of July 27th suggest that we are moving into a time of soul searching and personal exploration. Last week’s solar eclipse in Cancer triggered core issues. Now the two weeks between the eclipses acts as a calibration phase. Thankfully we have harmonious and jovial lunar aspects of moon conjunct Venus and Jupiter this week. By the end of July there will be five planets retrograde, a clear signal that it’s time for introspection and inner development. Mercury stations retrograde next week on Thursday, July 26th, one day before the Aquarius lunar eclipse. Mars, Saturn, Neptune, and Pluto are also retrograde. Great progress can be made under the retrograde signature, but the efforts must be made in the right direction. 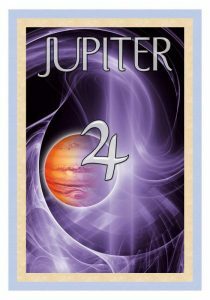 Jupiter in direct motion, however, grants authority to your decisions made now. Think of the rest of July and August as a time to lay your foundation. By the end of August both Mercury and Mars are re-engaged by being in direct motion. If and when this work is done, you’ll move forward with accelerated personal power and more freedom. What is really illuminated this week through Venus and Jupiter conjunctions are emotions around your values. What is really important? How can you get it? Can you overcome the fear of making a wrong decision? A look into the evening sky is always inspirational, and there are several planets now visible. In addition to Venus and Jupiter, you can also see Mercury and Saturn. Mercury in Leo teaches us that communication is essential, and Saturn shines a light on your commitment and dignity.